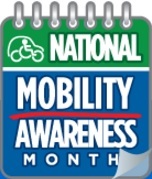 In May 2011, the National Mobility Equipment Dealers Association (NMEDA) launched National Mobility Awareness Month. Mobility equipment dealers around the country, members of NMEDA, use this month-long event to bring awareness to mobility issues in the community, and, not coincidentally, the adaptive technology they offer. But as restricted or impaired mobility is the most common disability among Americans over 65, and nearly 10 million people use some kind of assistive device to get around every day, this awareness grows more important. As caregivers, loved ones, and homecare companions know, any number of conditions, diseases and medications can affect mobility, temporarily and permanently. Knowing what assistive technology is available is crucial to helping your loved one continue to live an active, independent life. Wheelchairs range in cost from $100 to a few thousand dollars, depending on their weight, and the features and comfort level they offer. Other devices are designed to make moving around within homes, stores and office buildings easier, and are so ubiquitous that we don’t see them anymore. These include ramps, automatic door openers, wider doorways and grab bars. There are myriad kitchen and home implements that make self-care, including cooking, easier for people who can’t stand, or who simply can’t move around the kitchen easily. The Paralympics, held every four years in parallel with the Olympics, feature sports for disabled athletes like archery, cycling, equestrian, football, goalball, and wheelchair fencing. The full list of Summer and Winter Paralympics sports are inspiring. The ultimate assistive device is the automobile, which can be adapted so that drivers in wheelchairs can drive themselves everywhere they need to go, completely independently. 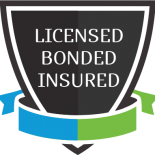 There are as many ways to adapt a car, van or truck for a disabled driver as there are variations of ability, mobility and impairment. An adaptive automotive dealer can elevate gas and brake pedals, remove seats, add ramps, make seats twist and swivel, or move all the pedal functions to hand controls. While the cost of adapting a new vehicle can range as high as $80,000, the independence an adapted vehicle affords is truly priceless. Impaired mobility is the most common disability in the United States, with nearly 16 million people having some level of trouble walking (in 2012). When caregivers spend so much time caring for those with mobility issues, knowing as much as possible about the assistive technology available is crucial. Greater independence for loved ones, and more flexibility for caregivers, is the best way to support an active, healthy and happy lifestyle.